Roger Rogers in "Under Nevada Skies" in 1946. Roy Rogers, the Queen City kid who grew up to be "The King of the Cowboys," starring in more than 100 movies, died 20 years ago today, on July 6, 1998. He was 86. Rogers was born Leonard Franklin Slye to Andrew and Mattie Slye at 412 Second Street, which was demolished in the 1960s for Riverfront Stadium. He liked to joke that he claimed "second base as my birthplace." The actor-singer learned to yodel and call square dances in Adams County's Duck Run, about 10 miles north of Portsmouth, where his family moved by houseboat when Rogers was seven. He dropped out of high school, and moved back to Cincinnati in 1928 to work at the U.S. Shoe factory on Spring Grove Avenue with his father. NBC publicity photo for Roy Rogers' appearance on the "Dinah Shore Chevy Show" on March 14, 1960. In 1930, he and his father drove to Los Angeles, and the next year he made his debut on Los Angeles radio. He formed the Sons of the Pioneers quintet in 1934. 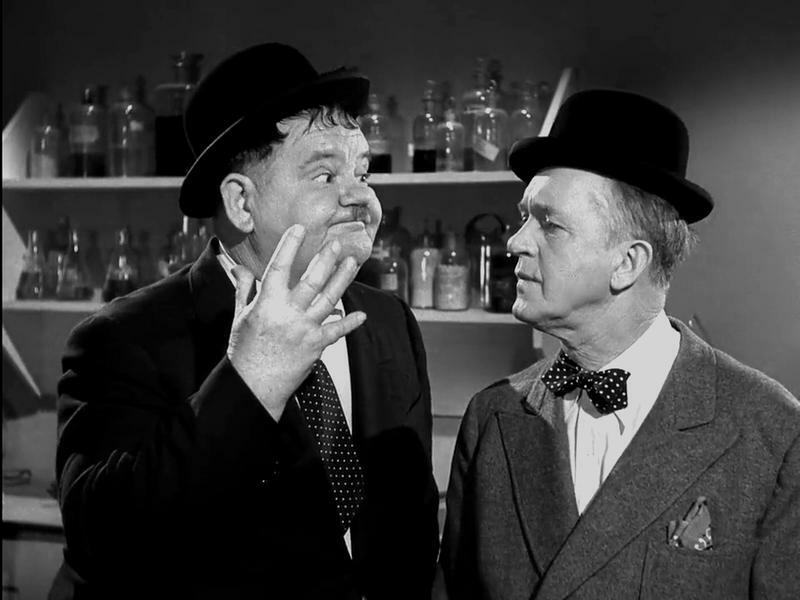 They appeared in their first film in 1935, and sang "Cool Water" and "Tumbling Tumbleweeds" in "Rhythm on the Range" (1936) with Bing Crosby and Martha Ray. He also played a bandit in Gene Autry's "The Old Coral" (1936). The singing cowboy signed for $75 a week in 1937 with Republic Pictures, which told him to find a new name. He chose "Rogers" after humorist Will Rogers -- but he told me at the TV Critics' summer press tour in 1992 that his mother always called him Leonard. "My mom could never call me Roy," he said. His Internet Movie Database profile lists 117 acting credits, the last for Lee Major's "The Fall Guy" TV show in 1984, at age 72. He made 65 films with longtime friend George "Gabby" Hayes. 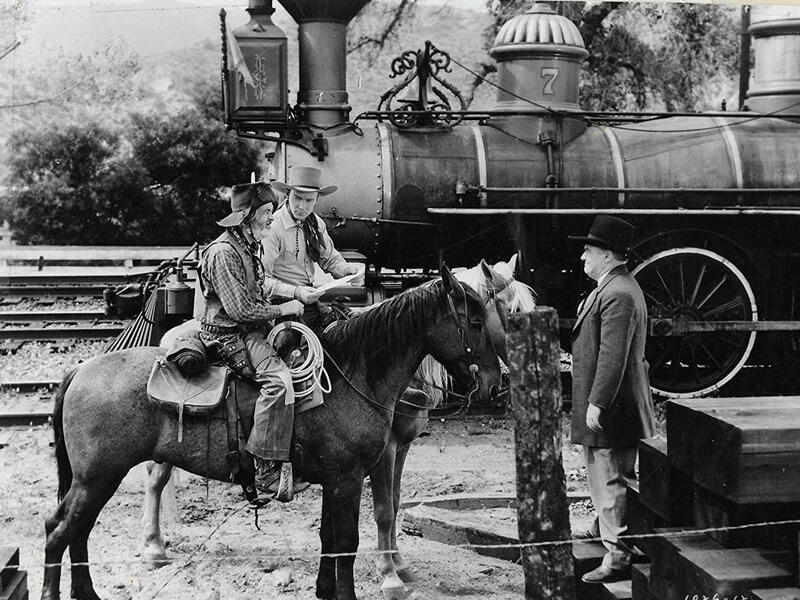 Longtime sidekick George "Gabby" Hayes, Roy Rogers and Joseph Crehan in a scene from "Nevada City" in 1941. From 1943 to 1952, Roy Rogers was BoxOffice magazine's top movie star. Rogers parlayed his movie fame into radio, television and restaurant success. 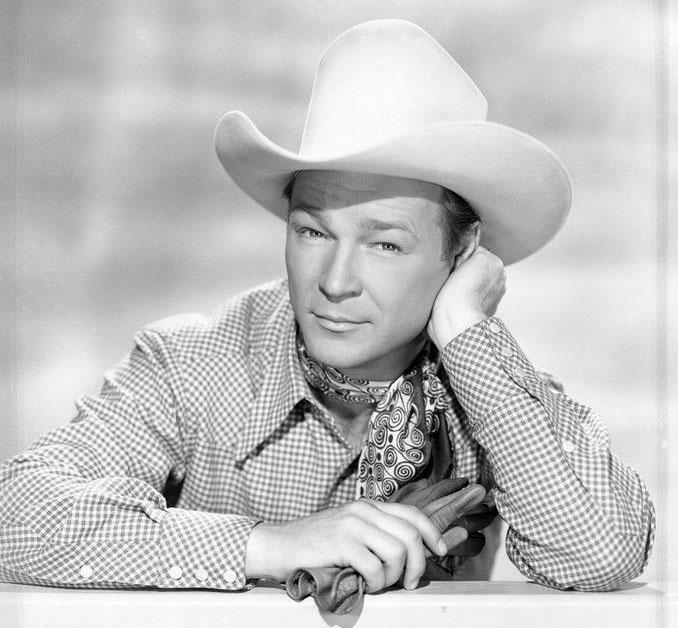 The "Roy Rogers Show" was broadcast on radio by Mutual and NBC (1944-55), and on television by NBC (1951-57) and CBS (1961-64). 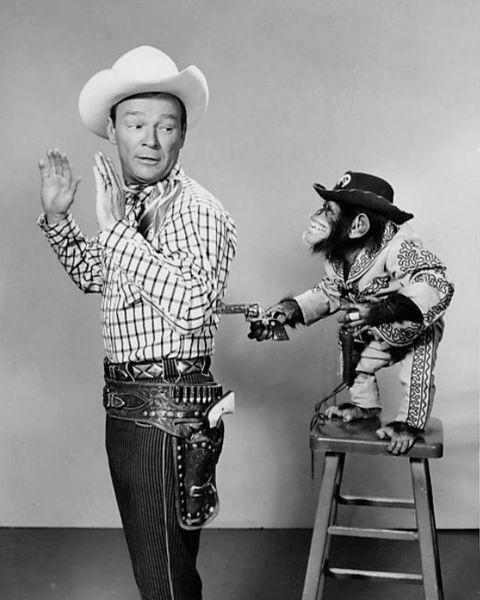 ABC also broadcast a "Roy Rogers and Dale Evans Show" in 1962. 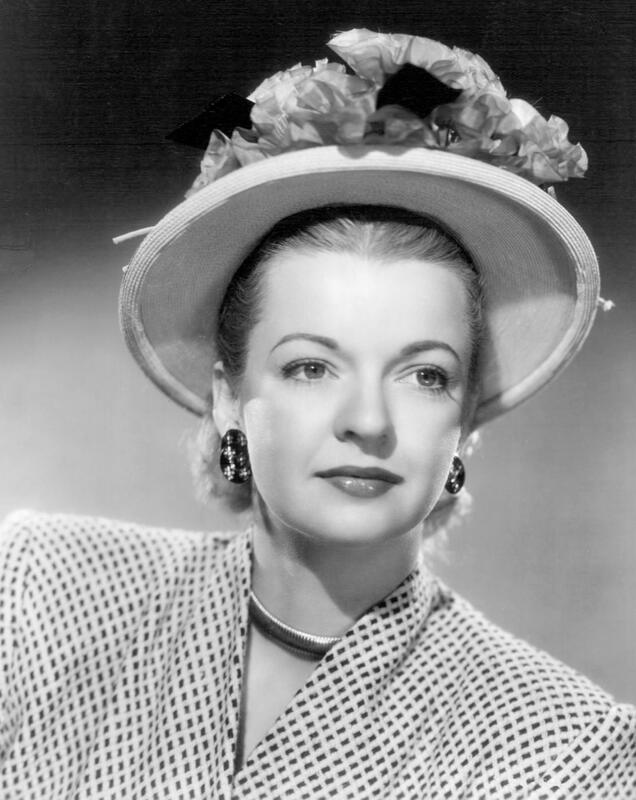 Dale Evans publicity photo from 1947, the year she married Roy Rogers. In 1947, he married Evans, "The Queen of the West,"his third wife. She wrote their radio and TV theme song, "Happy Trails To You." She died at 88 in 2001. Both are buried in Apple Valley, Calif., near their former home. Here's a great 1983 clip from NBC's "Late Night with David Letterman" when Rogers was in New York for the grand opening of his Roy Rogers Restaurant in Times Square. At the time, Rogers had about 500 fast food restaurants with the Marriott Corp. The 16-minute video includes a montage of his movies; Rogers' talking about his horse Trigger; and singing "Happy Trails." Rogers returned to Cincinnati for the last time in 1988, for the city's bicentennial "Salute To Our Stars" at the convention center downtown. He has three stars on Hollywood’s Walk of Fame – for movies, radio and TV. Twice he was elected to the Country Music Hall of Fame – with the Sons of the Pioneers in 1980, and as a solo artist in 1988. On Aug. 1-4, the 35th annual Roy Rogers Festival will be held at the Portsmouth Holiday Inn, 711 Second St., Portsmouth, Ohio 45662. Among those scheduled to attend include Dodie Rogers Patterson, Roy and Dale's daughter; Julie Rogers Pomillia, Dale's granddaughter; and Julie Ann Ream, granddaughter of actor-musician Cactus Mack, who taught Rogers to play guitar after he moved from Ohio to California. Celebrity guests including actors Geoffrey Deuel (Billy the Kid from John Wayne's "Chisum"); Kathy Garver ("Family Affair"); Morgan Brittany ("Dallas"); and Martin Kove ("The Karate Kid," "Rambo, First Blood Part II, "Cagney & Lacey"); and former Pittsburgh Pirates star Al Oliver, a Portsmouth native.